Some one said the word “cupcake” this weekend and I couldn’t stop thinking about that idea! But, I was short on time and energy, so just got a box cake and a tub of frosting after church on Sunday. Honestly, I nearly didn’t make these with Velma, I had never made a box cake using her before and I kinda forgot! But, I changed my mind mid-pour of the dry pouch and moved over to my green machine. It was so much faster than mixing by hand – I don’t know what I was thinking! 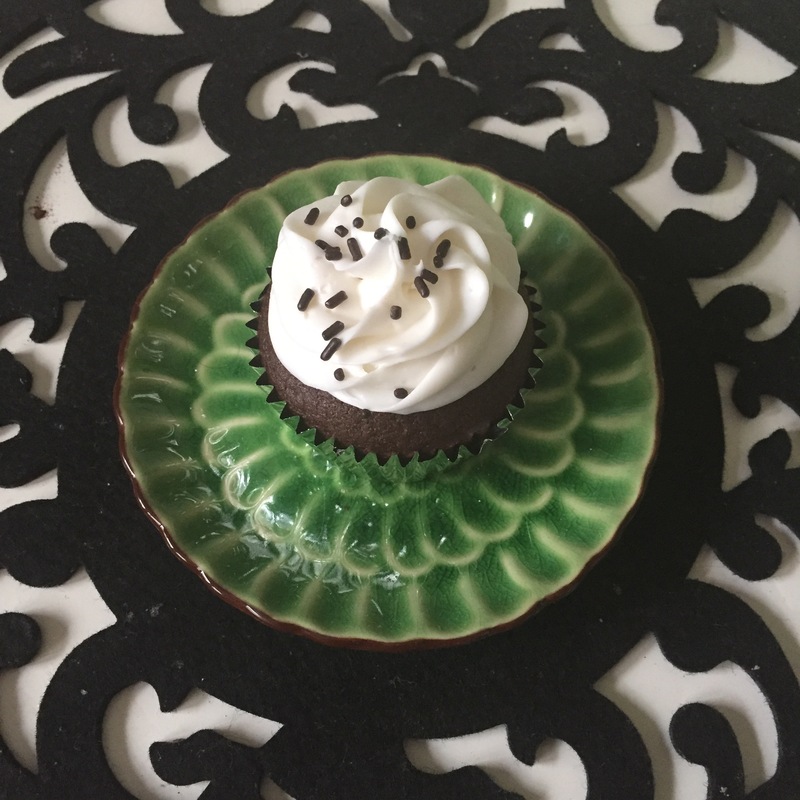 I used a measuring cup to pour into the cup cakes, and followed the instructions on the box. I put the tub of frosting in a Wilton bag and piped it on, so it looked like maybe I tried a little, and then sprinkled the chocolate jimmies on top.